Ashley Gilbreath is one of those rare women who has accomplished much on her own, yet remains open to new people and new ideas. 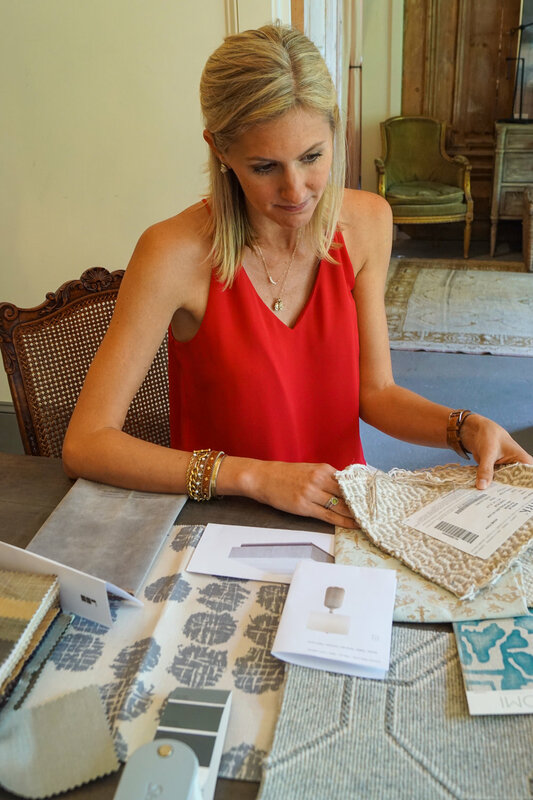 Ashley’s personal life story is beautiful and layered, much like her interior design work. Our Montgomery showroom is located in her former design studio space and I think that is what gives it that good juju. We are workplace neighbors in the historic district of Old Cloverdale and I have the privilege of being able to sit and visit with her every few years. I wish we could visit more often. We always enjoy finding ways we can collaborate together. She is open and ready for new things. We are kindred spirits in two different fields which intersect on the plane of beauty and design. In our recent visit, we sat down to lunch and caught up with what is happening in our family and work lives. We discussed the good and bad of seeing yourself reflected in your children. I diagnosed her (in my “expert” opinion) as a fellow 8 with me on the enneagram…and then introduced her to the enneagram. She is now as obsessed with the enneagram as I am. See what I mean, kindred spirits! Shop Ashley’s French Pendant Necklace HERE. Shop the Blessing cuff HERE. Shop the Lucy Wrapping Bracelet HERE. Shop the Graham Pearl Bracelet HERE. Learn more about Ashley and visit her website HERE.